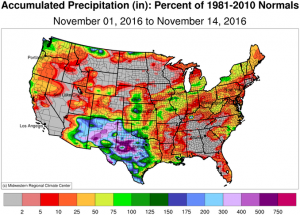 Posted in Climate and Ag in the news, Climate summaries. Posted in Climate summaries, Drought. 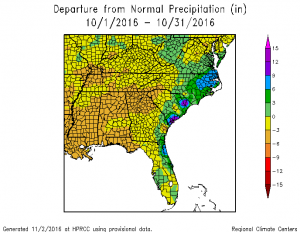 The Southeast Regional Climate Center’s monthly climate summary report for October 2016 is now available. You can find it at http://www.sercc.com/SoutheastRegionMonthlyClimateReportOctober2016.pdf. The Florida climate summary for October 2016 is now available. 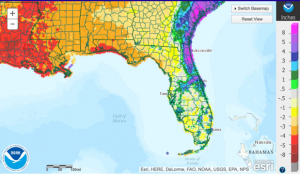 You can access it at http://climatecenter.fsu.edu/products-services/summaries/climate-summary-for-florida-october-2016c. 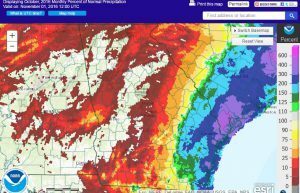 The State Climate Office of North Carolina published their monthly climate summary for October 2016 (very quickly!). You can find it at http://climate.ncsu.edu/climateblog?id=218&h=5666e5c1. Expect the Georgia one later in the week.